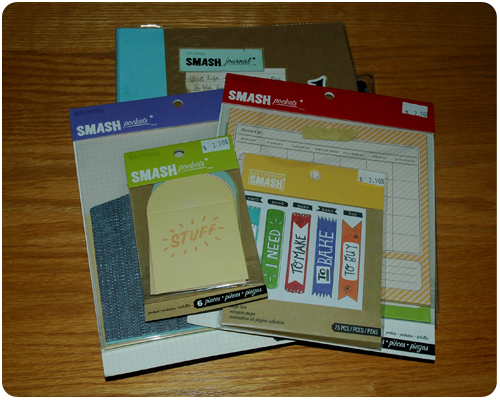 Have you seen Smash Journals and all the cool accessories that go along with them? These books are everywhere - local scrapbook stores, Michaels, and my goodness just about every booth I visited at Scrapfest was selling them. And they are so cool! I love them! I can not wait to start using mine! The idea behind these books are that they are a place to store memories, photos, articles, lists, bits of inspiration....anything that has meaning to you. 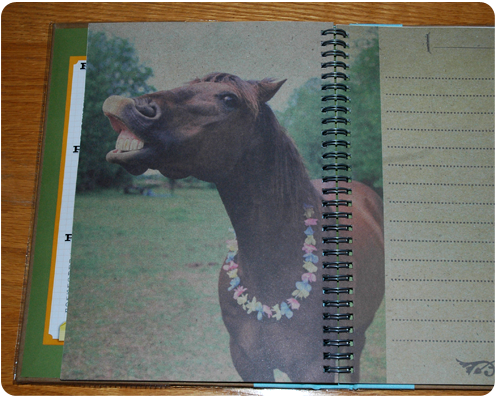 You do not need to be a scrapbooker to use these journals....they are for everyone! 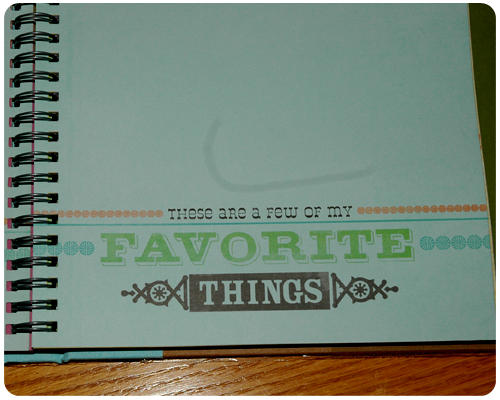 Some of the example journals that I have seen have included pictures from magazines, things-to-do lists for upcoming trips, ticket stubs from a concert, descriptions of everyday life, handwritten notes from children or husbands, favorite recipes, quotes....really what you put in your journal is completely up to you. I have purchased the Retro Style journal. Honestly, the hardest part was choosing which journal to use. 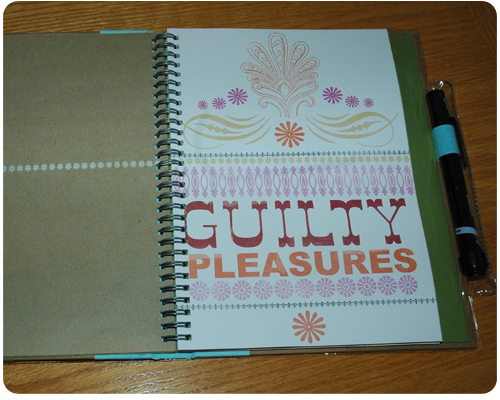 There are several different styles and each one has different pictures, quotes and writing prompts inside. I chose the Retro Style because it seemed to suit me best. Each journal comes with an attached pen/glue stick - one end is a pen, the other is a glue stick - that way you are always ready to add to your book. 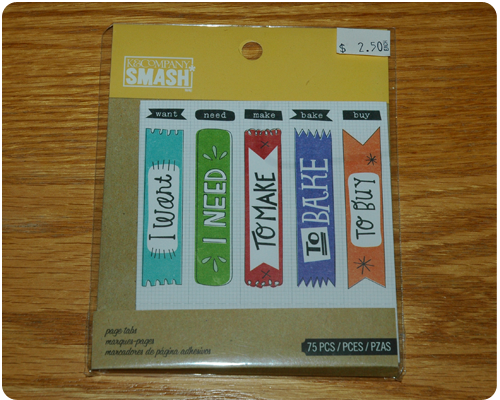 There are more accessories that can be purchased, but these are the ones that I grabbed to get me started. 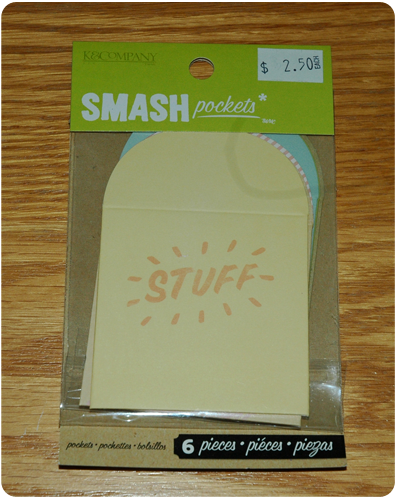 I also plan to use some of my paper scraps to add a little pizzazz to my book. 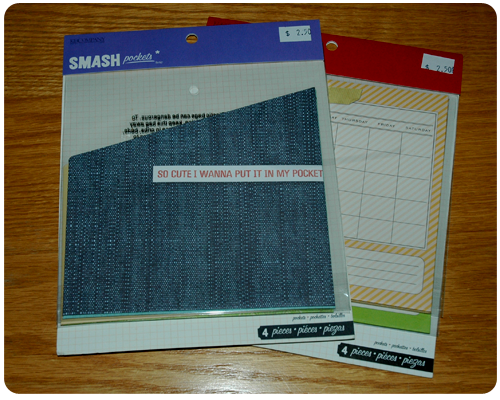 I am so excited to start using my Smash Journal. I think that these journals are just amazing and such a brilliant way to corral all the treasures and mementos that I currently have in a shoe box. 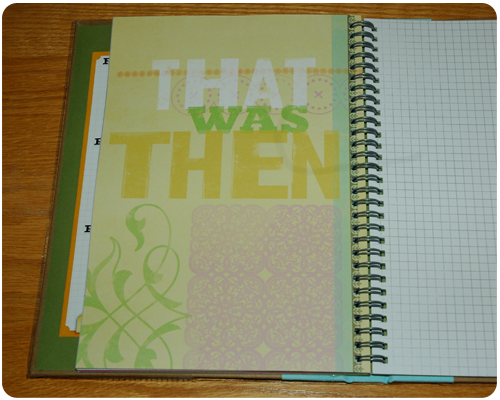 Like all the memorabilia I have from when my husband and I were dating....I think it would work great on the "That was Then" (see above photo) page in my journal. And I love that it can be so random. There is no right or wrong way of doing it - just add in whatever is inspirational and treasured and watch as the book comes together. I honestly can not remember the last time that I was so excited about a new product. So what do you think? 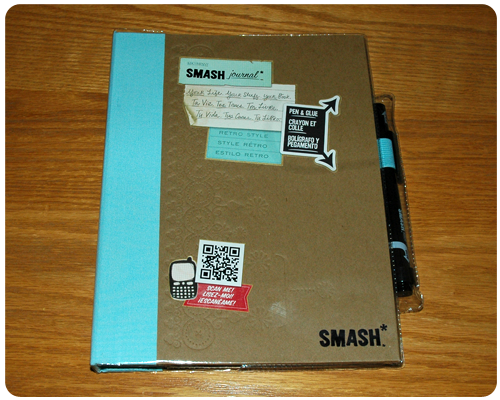 Is a Smash Journal for you? Three Reasons Why I "Multi-Craft"